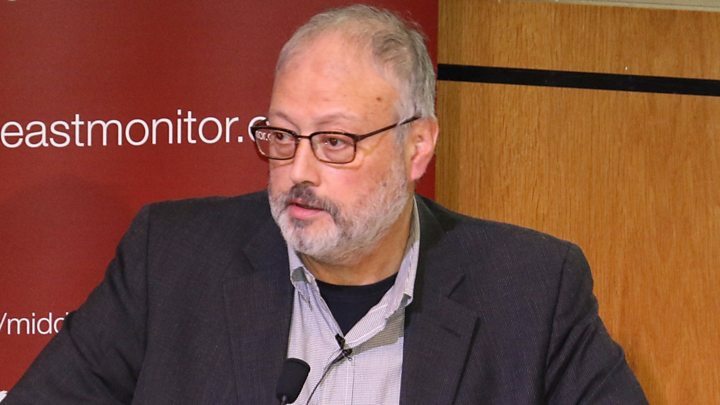 Turkey has given its first official statement on how it believes Saudi writer Jamal Khashoggi was killed, saying he was immediately strangled. Chief prosecutor Irfan Fidan said meetings with his Saudi counterpart this week led to "no concrete results". Saudi Arabia has not commented on the meetings. His body was then dismembered and destroyed "again, in line with advance plans", it added. Who is the journalist that disappeared? What happened in the latest meetings? Do they have any new information about the planning of the killing? Who was the "local co-operator "? An unnamed Saudi official previously told Reuters news agency that Khashoggi's body had been rolled in a rug and given to a "local co-operator", who disposed of it. On Wednesday, the delegation responded the questions in writing, according to Turkey. Saudi Arabia said the answers could only come from a joint investigation. It also noted that it had never given an official statement on the existence of a "co-operator". However, a senior spokesperson from the ruling AK Party said on Wednesday that it could not have been carried out without orders from someone in a senior position. Saudi Arabia denies its royal family was involved. 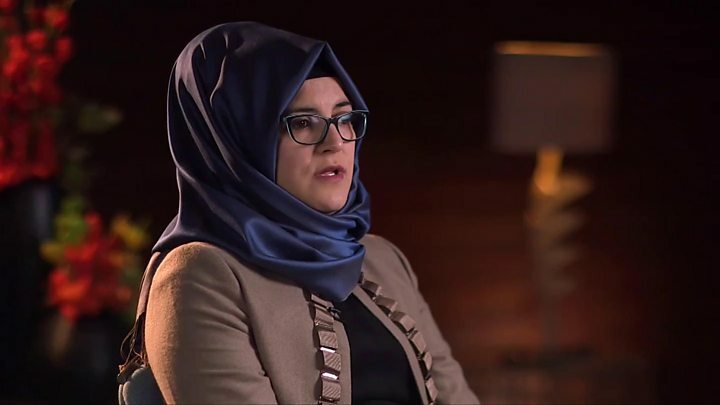 Media captionJamal Khashoggi's fiancee: "We didn't say any goodbyes"
Turkish media have published details on how sources say Khashoggi was killed, including allegations he was tortured. What has Saudi Arabia said? 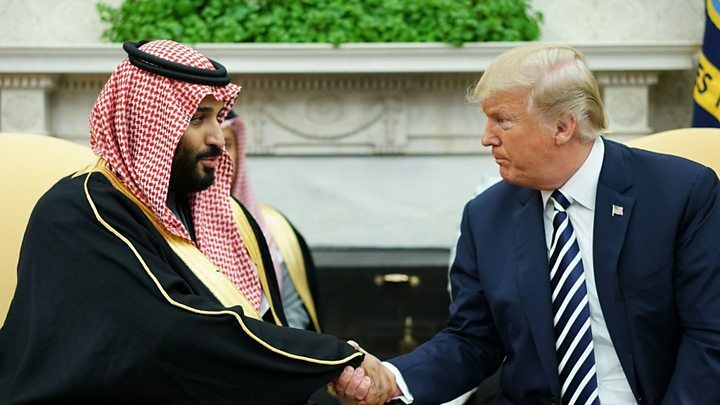 President Donald Trump has said he is "not satisfied" with the Saudi account. However, he also said he was unwilling to sacrifice lucrative arms deals with the country. Meanwhile, US activists have launched a petition, calling for a section of road near the Saudi embassy in Washington to be renamed Jamal Khashoggi Way. 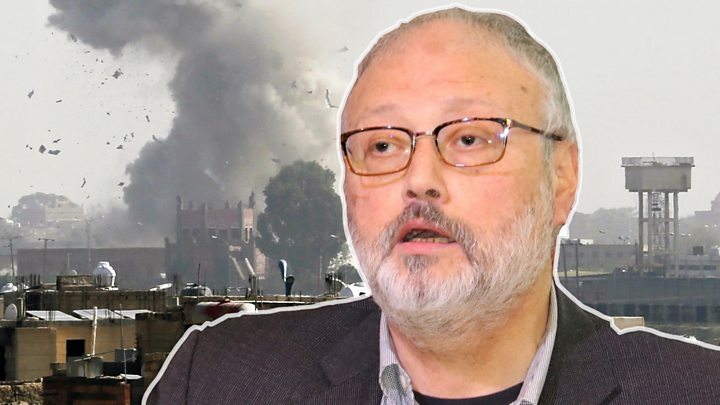 UK Foreign Secretary Jeremy Hunt also said it was an appalling act, adding that it had "possibly" given the US and the UK a chance to put new pressure on Saudi Arabia over other issues. Earlier in the day, the US called for a swift cessation of hostilities in Yemen, where a Saudi-led coalition has been fighting local Houthi rebels.